Hi There! Hope you’re having a great weekend. I know it’s getting colder outside, and I have just a relief for you. 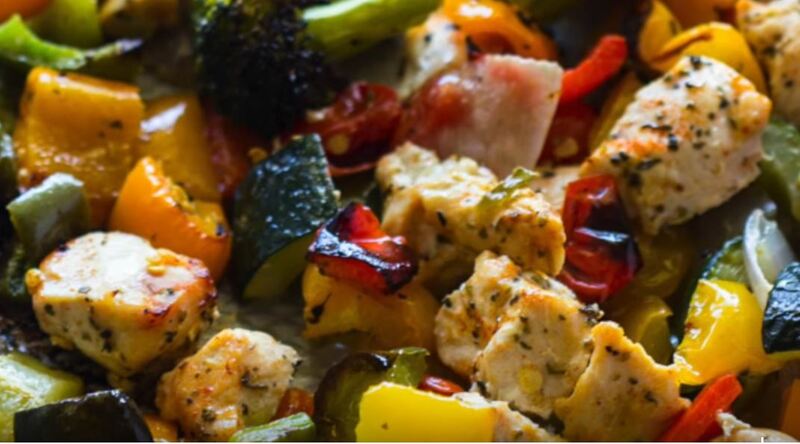 I found a healthy roasted chicken and veggie dish for you, thanks to Yummly. It takes 20 minutes to make with prep time and is less than 250 calories. You can add any vegetables of your choice. This entry was posted in Food and tagged Healthy Chicken Recipe, Healthy Recipe, Recipe Thanks to Yummly, Roasted Chicken and Veggies by allaboutme31. Bookmark the permalink.